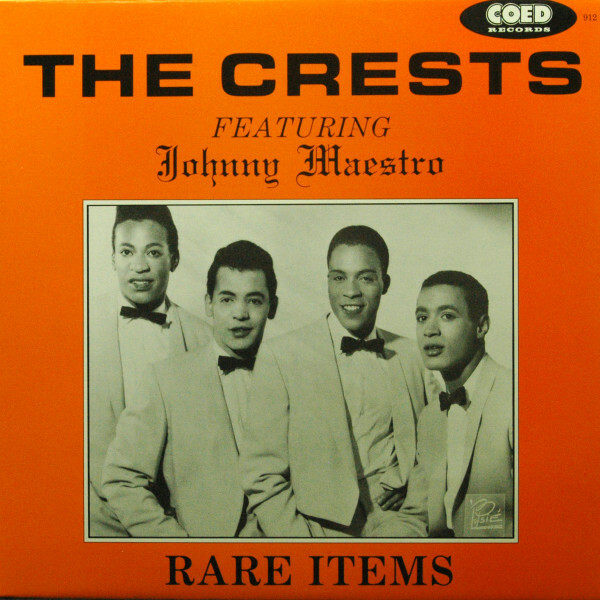 Johnny Maestro and his Crests had a good thing going at Coed Records. Co-owner George Paxton was a music publisher whose output displayed a polish that a lot of New York indies lacked. The Crests had been Coed's flagship group since their 16 Candles just missed topping the pop hit parade (you'll find it on our 1958 edition). Maestro's powerhouse leads and the harmonies of second tenor Tommy Gough, baritone Harold Torres, and bass J.T. Carter ensured that the multi-ethnic Crests kept posting hits: Six Nights A Week, Flower Of Love, and The Angels Listened In in 1959 alone. Step By Step, written by house songsmiths Ollie Jones (a former member of The Ravens and Cues) and Billy Dawn Smith, sailed to #14 pop in the spring of '60 with Gee (But I'd Give The World) residing on the opposite side. "That got us back up in the Top Ten again," said the late Maestro. "It was a good song." Coed spared no expense. "That was great. The sound was phenomenal, the first time being there in the studio with live strings. A beautiful sound." Paxton's studio demeanor was calm. "He was kind of laidback. He never really had much to say. It was mostly the arrangers who had most of the say in the recordings. He'd throw his two cents in once in a while. He'd always be there, of course. 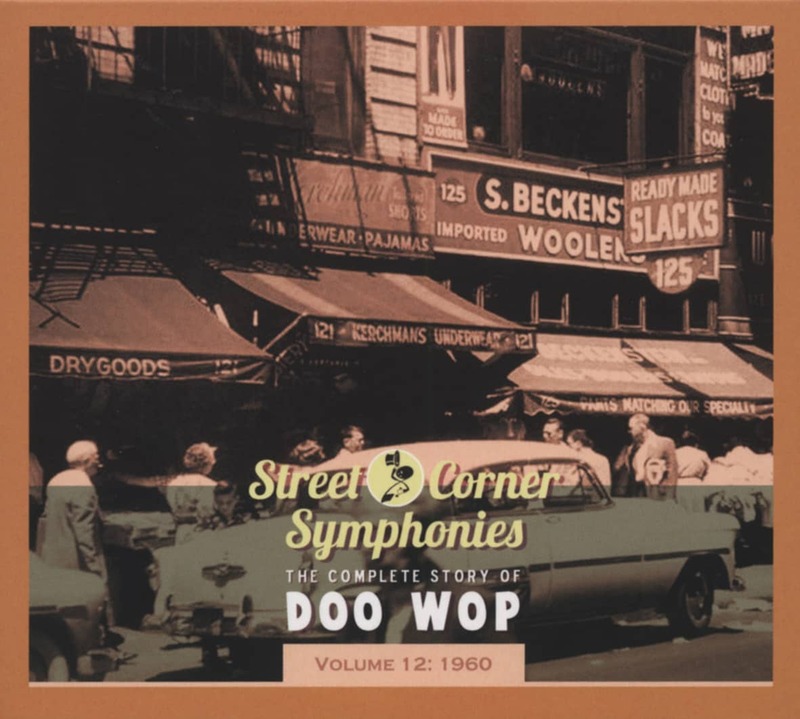 But Bert Keyes and Billy Dawn, they were very instrumental in all of our recordings." Maestro became a solo at Coed, nailing three 1961 hits. But he wasn't happy. "Being with a group all my life - all my vocal life, anyway - I was really used to being with the group in the studio and onstage. I had that support," he said. "So after a couple of records, I left the record company and just started traveling around the country with a band." Meanwhile, The Crests soldiered on without him. Maestro was singing with The Del-Satins, Dion's vocal group on Runaround Sue, but they wanted a bigger sound. They merged in 1966 with a horn band called The Rhythm Method. A new name was in order for the 11-piece outfit. "Someone at our manager's office made a comment, 'It's gonna be easier to sell the Brooklyn Bridge than sell a group of this size!'" laughed Johnny. Buddah Records boss Neil Bogart wanted The Brooklyn Bridge to go bubblegum, but Maestro had heard a Jimmy Webb composition on a 5th Dimension album. "I said, 'This is a great song. I think we should arrange it our way and go into the studio,'" he said.The Brooklyn Bridge's Wes Farrell-produced rendition of Worst That Could Happen went gold in early '69, soaring to #3 pop. They scored lesser hits through 1970 and were still going strong when Maestro died March 24, 2010.